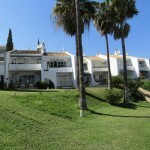 Spain - still a good property investment? Spain - still number 1 for property investments? Good weather was voted the most important priority by a remarkable 37% of those polled, followed by security which is ranked as the second most important factor by 19%. Standard, isolated villas are becoming less popular with British investors who prefer gated developments that they can ‘lock up and leave’. Proximity to a town is also high on the list, with 17% rating it as the most important factor, compared to just 5% citing proximity to a beach as the number one priority. A notable shift is taking place away from the traditional ‘seaside’ holiday home locations, in favour of being able to walk into the town and take advantage of the shops, restaurants and culture on offer. A significant 59% of those polled considered the primary purpose of their property abroad to be rental income to cover mortgage repayments or as a supplement to their primary income. Law continues: “The majority of holiday home purchasers intend to rent out the property for rental income for most of the year, while enjoying it themselves for a total of between two weeks and one month per year. “This is a relatively new trend that has only taken off significantly in the last three years. Previously there was a certain amount of stigma attached to renting a holiday home out on the open market, but today’s investment-savvy purchasers are more likely to be embarrassed by failing to make their investment work for them financially.